RHCDS encourages our students to lead with their hearts at home, at school, and in their community. We can look to one of our former students and the effort he is making to drastically impact the lives of people halfway around the globe. Chris Long, a former RHCDS student and son of NFL Hall of Famer Howie Long, recently won his first Super Bowl ring with the New England Patriots. He founded a project called The Waterboys. The goal is to provide clean, safe and sustainable water access to East African communities in need by hiring local crews to drill deep-bore wells serving up to 7,500 people. This is Chris Long’s passion off the football field and our school will join in supporting this wonderful cause. He shot a video for us on his phone in between practices. He’s a great speaker who got his public speaking start at Country Day at flag or in the classroom, just as our students do each week. Click here for Chris Long’s message to our Country Day community. We are going to support The Waterboys and save thousands of innocent lives. We registered our own group so if you would like to make an individual donation, please go to The Waterboys site at www.waterboys.org and look for Rolling Hills Country Day School under Groups, or simply click here for the link to the RHCDS Waterboys Group. We want our students to know that they can make a difference in someone’s life, even if it’s across the globe. 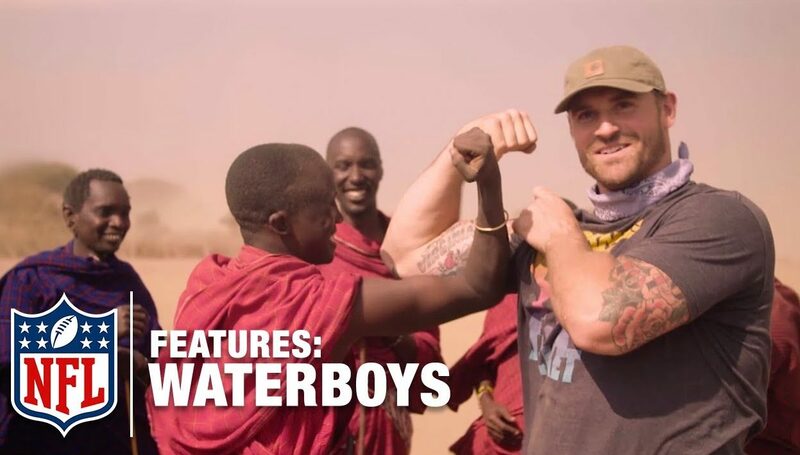 Click here to learn about the Waterboys Initiative. Click here for Chris Long’s message to our Country Day community. Click here to visit the RHCDS Waterboys Group.